Do you find yourself fantasizing about that special someone? lazy weekends? sugary sweets? After your first glass of this dirty India Pale Ale you may find yourself fantasizing about the next time you’ll be lucky enough to sip on this beautiful beer. 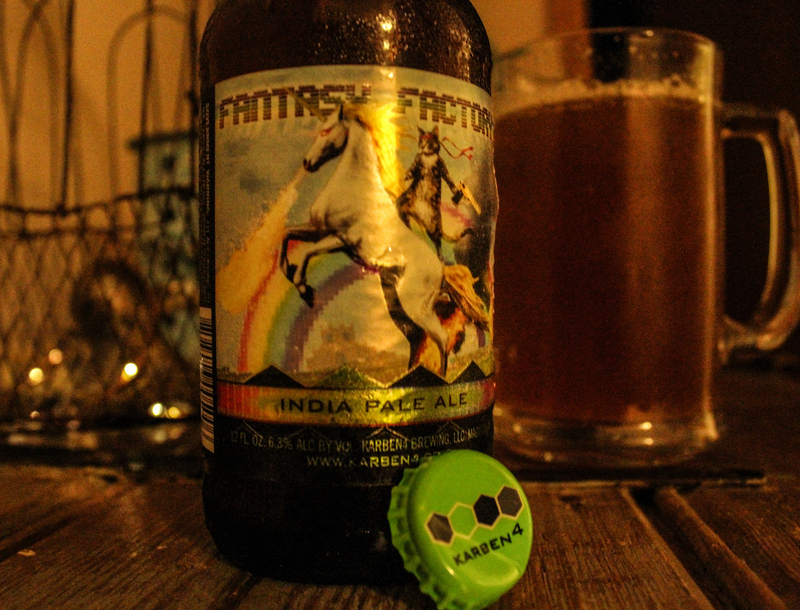 When I was first new to the IPA scene, I would choose some beers to try solely on how cool the label is. Lucky for me, my eye caught the glorious cat upon the magnificent fire-breathing, golden-haired unicorn. After cracking off the signature Karben4 bottle cap, the first sip of this beer will hop you on the hop train and head straight for Hop City! Be ready for a crazy ride you can’t help but want to try again.